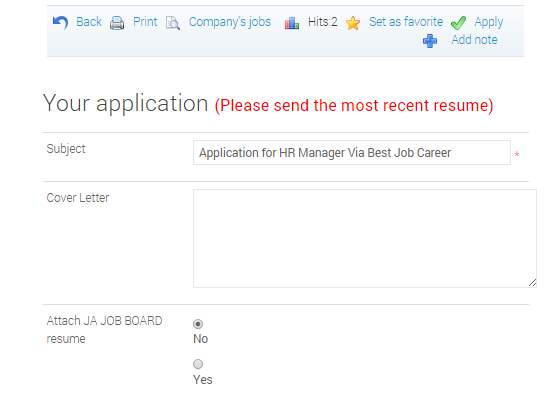 How to remove the word "JA JOB BOARD" to label "Attach JA JOB BOARD resume"
Forums JA Job Board Component JA Jobboard - Solved Issues How to remove the word "JA JOB BOARD" to label "Attach JA JOB BOARD resume"
Do you know How to remove the word “JA JOB BOARD” to label “Attach JA JOB BOARD resume”. it’s mean you can check and change it via configuration. This topic contains 4 replies, has 2 voices, and was last updated by jooservices 4 years, 4 months ago.